Or was that schadenfreude chic? Vanity’s Fair’s renowned photographer Annie Leibovitz will organise a group photo of the Wall Street giants all sporting knock-off Rolex watches and wearing their favourite Wal-Mart suits. John Bunyan and William Thackeray are no doubt looking down and toasting the idea at this very moment. P.S. What is it about fallen idols and fake Rolexes? Wondering what to wear in the woods? You could check out Woolrich, THE ORIGINAL OUTDOOR CLOTHING COMPANY (est. 1830) -- or Eddie Bauer, THE ORIGINAL OUTDOOR OUTFITTER (est. 1920). At the moment, however, they're busy battling over whether Eddie Bauer has infringed Woolrich's trademarked slogan. Among the usual claims is a keyword clash: Woolrich is not pleased by Eddie Bauer's purchase of "Woolrich" as a Yahoo keyword triggering display of links to Eddie Bauer. As for me, I'll be hibernating indoors until spring -- as will the attorneys exploring the ins and outs of this complaint. Awards season may be in full swing, but everyone knows that Jason Wu already won the grand prize. 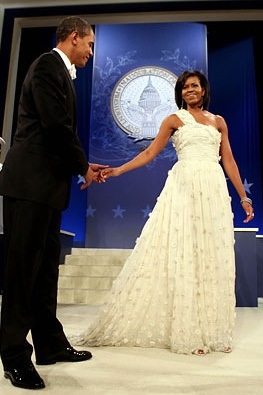 Let other designers court stylists and starlets; Jason's dress was Michelle Obama's pick for the inaugural balls. Of course, Jason's big win didn't exactly come with a big check. The custom gowns that he and his staff spent many late hours designing and constructing were sent gratis, with the understanding that if one were chosen, it would subsequently be donated to the Smithsonian. Sure, the honor is impressive and the publicity may be priceless, but how many previously unknown inaugural gown designers have gone on to become household names? (Michael Faircloth for Laura Bush? Sarah Phillips for Hillary Clinton?) Jason has the advantage of already enjoying recognition within the industry, not to mention a talent for creating charming dresses -- but giving away ball gowns doesn't pay the rent. Jason's dress may prove profitable for a number of other labels, however. The usual suspects -- ABS, Faviana -- have already announced plans to market their own budget versions. Interestingly, the copyists' rhetoric seems to have changed somewhat of late. 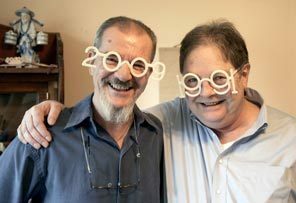 Rather than describe the knockoffs as exact lookalikes, Faviana's proprietor notes that his gown will be made to "our specifications, our patterns," while Allen B. Schwartz will "most likely" cut a similar, pre-existing design in ivory. 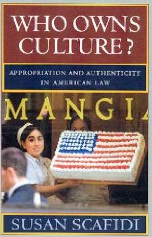 The law hasn't changed -- yet -- and exact copies are still legal in the U.S. But could derisive reports of sartorial plagiarism, together with copyists' concerns that American law will soon follow other countries in protecting fashion designs, already be leading some companies to emphasize differences rather than similarities? If so, the Design Piracy Prohibition Act may have begun taking effect before even being reintroduced in the new Congress. In the meantime, congratulations and good luck to Jason Wu, Isabel Toledo, Narciso Rodriguez, and all of the creative designers favored by Mrs. O. It's just a pity that with 10 inaugural balls, we didn't get to see 10 gowns! P.S. It may be a new historical era, but celebrity knockoffs aren't a thing of the past yet. While Faviana and ABS may be soft-pedaling their designs on Michelle's gown, edressme.com is still happily watching Hollywood awards ceremonies for more literal "inspiration." Who owns the hoop skirt? In the mid-nineteenth century, the answer would have been more or less every Western woman of means. From the layers of petticoats used to achieve a bell shape in the early part of the nineteenth century to the patented cage crinolines or "hoop skirts" used to achieve width without as much weight, the silhouette was universal. 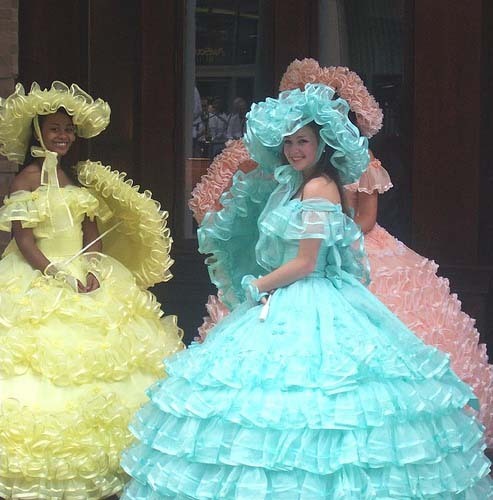 Today, the more appropriate question might be, "Who wants to own a hoop skirt?" Apart from the occasional bride with visions of Princess Diana dancing in her head, such extreme shapes are generally limited to costume dramas, historical reenactments, and high-style goth gatherings. A recent dispute related to next week's Inaugural Parade, however, has once again focused attention on the style and raised questions about its cultural meaning and who has the right to define it. On one side are the Azalea Trail Maids of Mobile, Alabama, a bevy of pastel-clad beauties prepared to represent their state in the parade. On the other is the head of the Alabama NAACP, who believes that the antebellum costumes are a reminder of slavery and have no place representing modern-day Alabama in the President-elect's historic festivities. Whatever your position on the Azalea Trail Maids -- the issue is a complex amalgam of race, gender, and red-blue politics, further complicated by the fact that 11 of the 50 Maids are women of color -- it's interesting to witness the transformation of period dress into a contested cultural product. Like the Confederate battle flag or whistling Dixie, those hoops now carry more weight than originally intended. 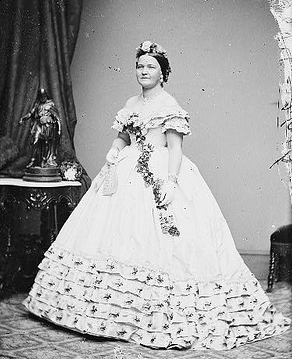 The bottom line: Barack Obama may be reading about Abraham Lincoln and even basing an inaugural menu around Lincoln's favorite foods, but don't expect Michelle to imitate Mary Todd Lincoln's choice of inaugural gown. I think it's important to play hard to get. Nobody wants the fake Prada bag; they want the brand new bag that no one can get and is the most expensive. If you give it up to a guy he won't respect you; he'll want you much more if he can't have you. Ladies and gentlemen, witness the birth of a new cliche: "As cheap and easy as a fake Prada." It seems there's nothing like running a Presidential campaign to bring out traditional values. Glamour magazine, via the Daily Express. What LA-based apparel company found the judge more than a little skeptical of its attempts to defend against claims that it had engaged in unauthorized use of the image of a certain film legend? Just ask the guy in seat 25B, whose laptop and printed documents were in Counterfeit Chic's direct line of vision -- for about 6 hours. Not that I paid (much) attention. If the Mall of America is a suburban shrine to our national consumer excess, what would a Chinese version look like? According to one U.K. source, a new shopping center in Nanjing is about to provide an answer. It's an entire mall consisting of nothing but not-quite-right brands. After a long morning shopping for the perfect Naik, Dama, or Adidos sneakers to go with your A&G jeans, you can stop for coffee at Bucksstar or grab lunch at McDnoald's. The counterfeit conundrum is whether this is an actual mall or merely the Mirror's idea of an attention-grabbing photo essay. Either way, I think I'll pass on the Pizza Huh -- especially if the "huh?" is a reference to mysterious toppings. Sausage is scary enough. Many thanks to longtime Counterfeit Chic reader Deborah Mason for the tip! It's Monday, the evergreen trees have been kicked to the curb, and the last bits of confetti have been swept up from the streets. Tomorrow's Epiphany notwithstanding, the holidays are officially over. Whew. 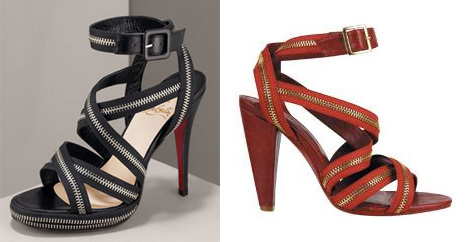 Here's hoping that you started 2009 by kicking up your heels -- though not necessarily the Forever 21 pair recommended by Time Out New York (right), which bear a strong resemblance to a Christian Louboutin design from last spring (left). Interestingly, F21 may have been attempting to test the limits of CL's red sole trademark by creating an all-black pair with black soles and an all-red pair with red soles. Once again, an aesthetic functionality debate may be lurking out there somewhere, but it hasn't yet risen to the surface of the bargain bin. "I get depressed on New Year's Eve," says Sclafani. "It used to be such a thrill to turn on the TV, and there were our glasses! Now, all I see is knockoffs." Happy New Year from Counterfeit Chic!